Released in December in China, the Meizu M1 Note (also known as Blue Charm Note) will soon be available globally via Meizu's own international web store: MeizuMart. Right now, Meizu doesn't provide too many details about this, just saying that the M1 Note is "coming soon." It will be interesting to see how much Meizu asks for the M1 Note. In China, prices for the smartphone (16 GB version) start at about $160, so maybe the handset will be sold globally for around $200. 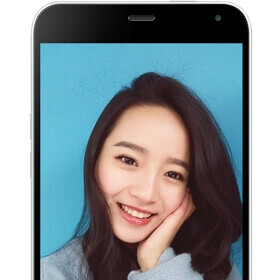 Despite the fact that it's affordable, the M1 Note offers a pretty impressive list of features, starting with a 5.5-inch 1080p display, a 5 MP front-facing camera, and a 13 MP rear camera with dual-tone LED flash. The handset also comes with LTE connectivity, dual SIM support, 2 GB of RAM, 32 GB of internal memory, and a 3140 mAh battery. As for the processor that's powering the M1 Note, this can be either an octa-core MediaTek MT6752, or an octa-core Snapdragon 615 (it's not clear which one will be included on the international version of the device). Design-wise, the Meizu M1 Note looks like a larger Apple iPhone 5c. The smartphone runs FlymeOS (based on Android KitKat). Would you buy it for around $200? yeah and the note has the 615 which is probably better than that Intel chip in the zenfone. Asus Zenfone Intel chip overheats easily. One hour of internet browsing and you'll be afraid holding it. I'll buy it if the gps works well. I've tried all mediatek's cpu from single core to four cores, all of them have bad gps. if it had lte on metro and att i'd buy 4 for family members. With OC SD615,it'll be irresistible. Kinda off topic, which is the overall better mid range SoC? The MediaTek MT6752 or the Snapdragon 615 ? Thank you for the info. This phone is currently on sale in my country (Philippines) through a 3rd party store at bargain price of roughly 186 USD. The MTK6752 variant that is, its always sold out. Might be a good buy. Lets just hope meizu does'nt screw this great phone with the inefficient sd615. Oh, Nice! Come with MTK MT6752, it's better than SD615. Performs good and no overheating issues. Release it already, I'm waiting.